What flooring is easier to maintain—hardwood or carpet? The answer may surprise you. While carpeting is luxuriously soft on the feet, it also requires more day-to-day maintenance than hardwood floors. However, commercial carpet may be the better option for places with high foot traffic. Keep reading to learn the differences between hardwood and carpet flooring so you can make an informed decision for your home or commercial building. 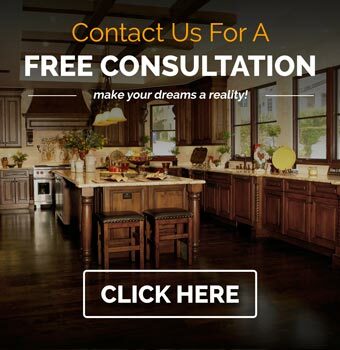 For more information, we recommend reaching out to a flooring company near you. Spills need to be cleaned up right away on both hardwood floors and carpeting. To clean engineered or solid wood flooring, simply wipe away the liquid with a clean cloth so the floorboards are dry. If liquid is allowed to sit on your hardwood floors, it can seep into the boards to create a permanent stain. Thankfully, you can always refinish hardwood floors that are stained or physically damaged so they look good as new. As an alternative to hardwood flooring, more and more homeowners are choosing stain-resistant life proof carpet for their homes. The stain-resistant treatment makes it so liquid sits on the surface of your carpet until it can be blotted. However, if left for an extended period of time, the liquid will seep into carpeting and make a stain. Unlike hardwood floors, carpeting may require more effort to remove deep stains by using special carpet shampoos and chemicals. If you are interested in industrial carpet for high traffic areas, we recommend reaching out to a carpet store near you. Today’s carpets are able to stand up to stains so much better than their predecessors. Keep in mind that carpets made from synthetic fibers may be more stain resistant than carpets made from natural fibers like wool. Hardwood floors are not recommended for high traffic areas because the dirt and grit can wear away the finish. If you need office carpet, we recommend choosing something that’s stain resistant and durable to foot traffic. Since carpet comes in a variety of colors, most commercial building owners choose patterned carpet or carpet tiles that won’t show dirt as easily as hardwood flooring would. Hardwood floors are also more vulnerable to scratches from high foot traffic. If you or a family member has allergies, you may want to consider real wood flooring. Hardwood floors have a flat smooth surface, which makes it difficult for allergens to stick around. 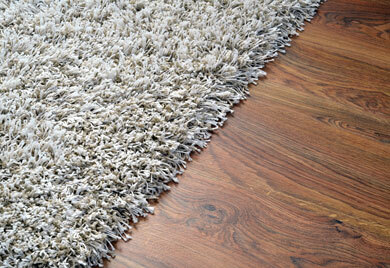 Carpet fibers, on the other hand, collect dust, dirt, pet hair, and other allergens. Carpet can also attract mold and mildew microbes, which can only be removed with regular vacuuming. To maintain wood flooring, simply sweep or dust to prevent dirt or grit from building up. We also recommend occasionally using a damp (not wet) mop to keep hardwood floors looking nice for years to come. Many homeowners prefer hardwood floors for their natural beauty and minimal maintenance. Complete Flooring & Interiors offers a wide range of colors and styles for hardwood, carpeting, and more. If you are interested in browsing our carpet or hardwood flooring samples at our Grand Rapids flooring store, call (616) 458-4806.